Ottawa’s vibrant craft beer and dining scenes connect with local producers and ingredients to make fall an especially delectable season. Why not start off with a culinary walking tour through the iconic ByWard Market? Dining in the ByWard Market. Photo credit Destination Canada. From Canadian history, to priceless world-class art, to the heroic tales, to enormous dinosaur fossils and to the world’s largest indoor collection of totem poles, Ottawa’s many national museums have something to offer for everyone. Enjoy world-class museums, galleries, Parliament Hill buildings and the Rideau Canal in this capital city steeped in culture and history alongside funky neighbourhoods, and the ByWard Market. Ottawa has perfected the festival. There no shortage of options, which include Winterlude, Christmas Lights Across Canada, the Canadian Tulip Festival, Canada Day celebrations, the Ottawa International Animation Festival and the Casino du Lac-Leamy Sound of Light. For the music lover don't miss RBC Royal Bank Bluesfest, TD Ottawa International Jazz Festival, Ottawa Chamberfest and the CityFolk Festival. Ottawa's not only Canada's Capital but the Capital of winter too! See what's in store for you on your next winter adventure in Ottawa! KEEPING BUSY IN THE CITY! 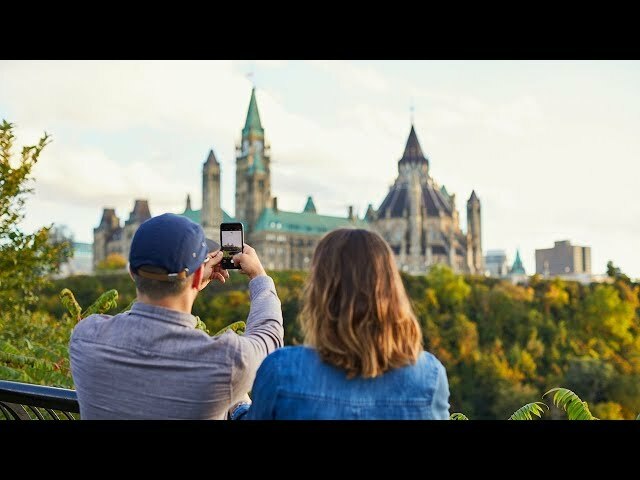 Let us inspire your trip to Ottawa, Canada’s Capital, by highlighting some of the events taking place in our city in 2018. From festivals to special exhibitions, you are sure to find just what you are looking for. Start planning your visit now! Create your very own itinerary!